The River Canyon is located 3 miles out of Selah. Don’t miss the chance to experience the variety of activities the Canyon offers. Hiking, biking, camping, floating, sightseeing, and other seasonal activities are here. The summer is an excellent time to get out and experience the sunshine that Selah and the river have to offer. The Yakima River Canyon is a great place to ride a road bike and enjoy the scenery. The road follows the river from Selah to Ellensburg. During the summer months riders will see the beauty of the canyon with all of its color and warmth. The canyon isn’t just for road bikes though; mountain bikers can cross the river at the Umtanum Recreation Site and use trails on the other side of the river. Camping is permitted here for a fee of $15. This site is also a boat launch and the only place a motor boat is permitted. Parking for the day in this area is $5. The fee for this camp site is also $15 and to park for the day is $5. Big Pines has RV and Tent camping available as well as a boat launch. NO MOTOR BOATS. Again the fee for camping and parking are $15 and $5 dollars. There is limited space at this site meaning first come first serve. This may also make it a perfect place to camp because there are less people. 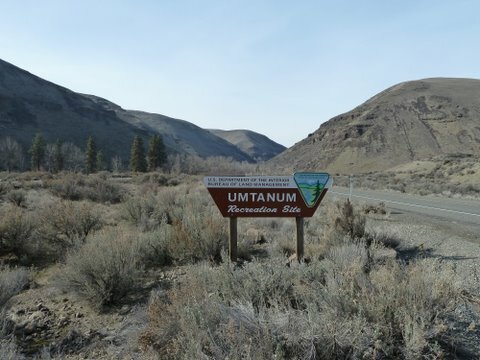 The Umtanum site has several camping sites for $15 and a $5 parking fee. This is not just a camp site; it is the only place to cross the river without a boat or without swimming. The foot bridge here will allow you to cross the river and access a multitude of trails. During the summer months is a perfect time to take a leisurely float down the river. Even though it is one river there are a variety of trips one can go on through this area. People can put the rafts or inner tubes in at most of the camp/recreation sites. The one exception is the Roza site. This is the last place on the river to get OUT. If you do not exit at this point, you will go to the Roza Dam. To shorten or lengthen your trip you can use any of the camp areas as a drop in or take out point, or use Ringer Loop in Ellensburg for your entry point. 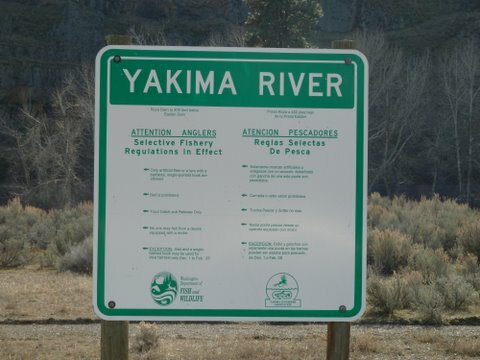 The Yakima River is a great place to fly fish for trout and steelhead. Steelhead are catch and release only, and the trout rule change seasonally. 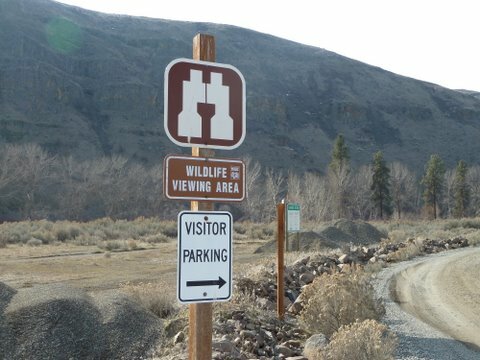 (See our fishing page) People travel from all over to enjoy the tranquility of the Yakima River and the fishing it offers. The Yakima Valley and the river canyon have a plethora of wildlife. While enjoying the sun one can see elk, deer, big horn sheep, eagles, fish jumping and a variety of birds. In the winter one can check out the feeding stations near by and watch elk and big horn sheep feed. 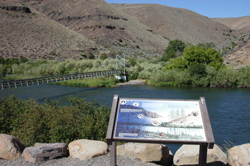 Printable SELF GUIDED TOUR of the Yakima River Canyon. 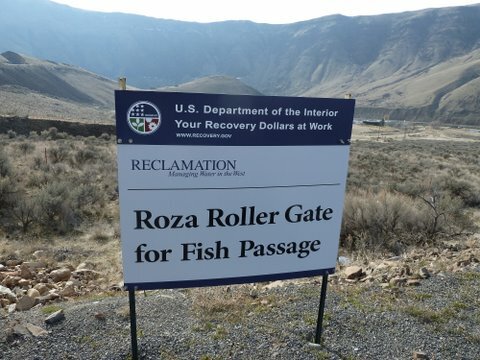 The Yakima River has a half mile stretch between the Roza Recreation Site and the Roza dam where motor boats are allowed. This is a great place for wake boarding and water skiing. The banks are farther from one another here than most places on the river, has calm water and deeper water that most spots on the river.